PepperFry, the biggest furniture startup in India, was founded by Ambareesh Murty and Ashish Shah—both former eBay India employees. It originally started off as a web-based lifestyle company and pivoted successfully to selling furniture. A market valued by some agencies to reach $32 billion by 2019. Now, how much of it will be online is the question. If you look at PepperFry’s moves in the last year, it seems the majority of it is still offline. And that is probably why the company has been slowly inching towards a strong focus on selling in high street stores. It has some amount of investor confidence and has raised almost $160 million so far. Its closest competitor, Urban Ladder, has raised almost $95 million, in comparison. 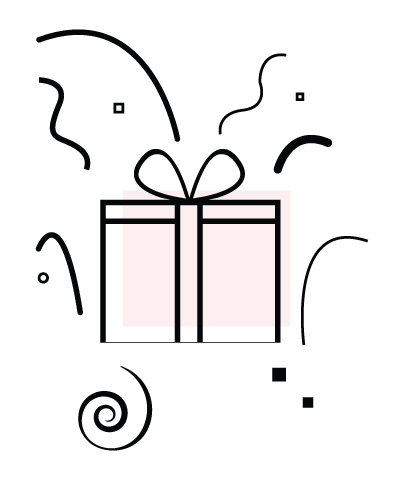 What has PepperFry been up to, in the last year? The transition to offline stores seems to be going full tilt. Its CEO, Murty, told the press that the company planned to invest $7 million to open 50 new stores by the end of 2017. It currently has over 22 stores across India. Its closest rival, UrbanLadder, too, has decided to go the offline way and is now trying to go from a web-only company to being a brand. The market it operates in is changing. PepperFry also raised $31 million from Goldman Sachs in September 2016. And there has been speculation that it has been in talks with Flipkart with a strategic investment in mind. PepperFry is split into two companies: Trendsutra Client Service Pvt Ltd and Trendsutra Platform Pvt Ltd.
Rs 273 crore: The combined revenue of Trendsutra Client Pvt Ltd and Trendsutra Platform Pvt Ltd for FY17 registered a 30% year-on-year jump. The company has been steadily raising its profile over the last year. 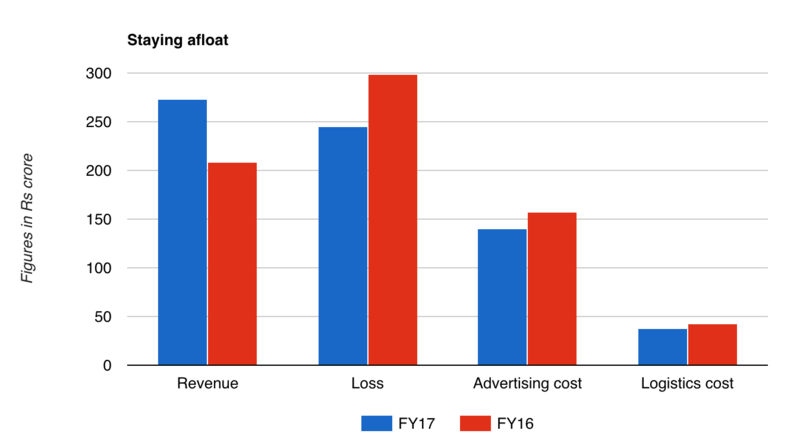 Rs 140.5 crore: The cost of advertising during the financial year, a 10% reduction compared to FY16. A large portion of the revenue is clearly driven by extensive marketing spends. Last year, too, the company relied heavily on its marketing to drive sales. Rs 51.4 crore: Salaries paid to employees in FY17. A 6.2% drop from FY16. The company has been talking about trying to reach break even and spending wisely. It has taken a step in the right direction. Rs 245 crore: The combined loss recorded by Trendsutra Client Pvt Ltd and Trendsutra Platform Pvt Ltd in FY17. A fall of 18% compared to FY16. In FY16, Murty had said the company would break even by 2016. That did not happen. Rs 316: What PepperFry spends per order on logistics. It clocked Rs 38 crore spends on logistics in FY17 and the company says it records 100,000 orders a month. In FY18, there will be more of the same. PepperFry seems to be on the track to breaking even and will continue to rationalise expenses and increase the number of stores. So far, the company directed all its walk-in customers to the website, but recently, it has started selling low-value products directly from the store. This will continue and it may start stocking and selling high-value products as well. Murty told The Ken that he considers his stores a surrogate for marketing and that he will continue to turn down his advertising spends while increasing the number of stores. “We are hopeful of reaching the Rs 3,500 crore-GMV milestone over the next three years and also turn profitable,” Ambareesh Murty told PTI in January 2017.